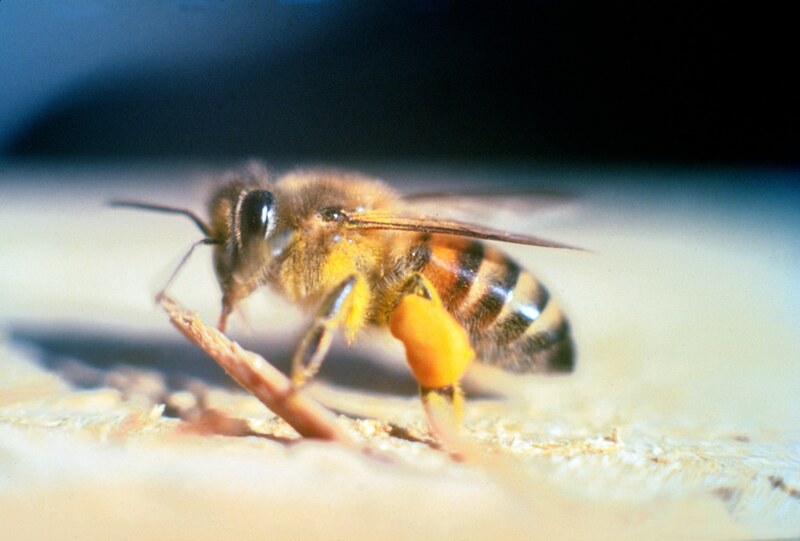 Honey bee swarms are not usually a major threat, unless they are Africanized honey bees. Generally, only thriving colonies have bees that swarm, so if you see only a few bees, let them do their job and pollinate away. 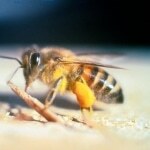 Although bees benefit the environment in numerous ways, it can be dangerous to let a bee hive grow near your home. The only way to get rid of a bee hive from around your home is to remove the entire hive, which requires a pest control expert. We can help you get rid of what’s bugging you, but bees are another matter entirely. Be safe! Feral cats can be dangerous if they’re carrying diseases that will make us sick. In order to have a healthier and safer neighborhood, you might be wondering how to get rid of feral cats in your area. If you stop feeding them, they may go away, but consider trapping them so that the cats can be humanely treated and then released or even adopted. The traps we sell are designed to catch other small mammals, too. If you just want the cats to stop climbing all over your patio furniture and destroying your backyard oasis, then we also sell a spray that repels feral cats. Learn more here. Getting rid of fly larvae is the best way of eliminating flies around your house. Since flies love moist and smelly environments, pick up pet waste and keep lids on garbage bins. You no longer have to walk through those fly-encrusted, hanging yellow tapes that attract flies. We sell fly baits, traps, natural sprays, and aerosols to help you be fly-free. 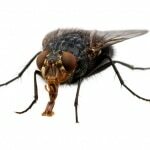 To learn more about how to get rid of flies, read here about the steps you can take. They’ve been called rats with wings, but almost 3 dozen have been decorated with the Dickin Medal for their World War I and II contributions. 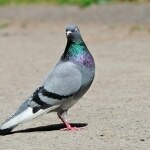 Pigeons can be found almost everywhere on earth, except the Sahara Desert, Antarctica, and the Arctic. Did you know it’s not legal to try to shoot them? They’re not the same as doves, either. There are several humane ways to get rid of pigeons, but if your neighbors are feeding them, they’ll continue to return. Roof rats get their name from their tendency to be found on roofs where citrus trees overhang. 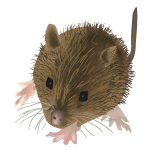 Ranging in size from 6 to 8 inches in length, not including their tails, they have extremely strong senses of hearing, smell, touch, and taste. Roof rats, as well as other rodents, can easily cause structural damage to your home, especially if they start nesting inside your walls or ductwork. Luckily, we can show you how to get rid of roof rats. In Arizona, there are only two groups of spiders that have venom dangerous to people: the black widow and brown desert recluse spiders. The black widow is the most venomous spider in the US, but usually leaves you alone unless you disturb it. Spiders are usually looking for bugs to eat and will prevent other pests, such as cockroaches and crickets, from invading the home. Since most spiders prefer dry, dark places, clear clutter and be careful when bringing in things like firewood from outside. 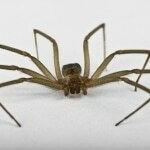 Learn more about controlling spiders. 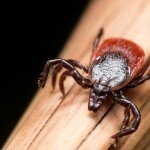 Ticks can carry Rocky Mountain Spotted fever and Lyme disease. Since most ticks attach themselves to animals, keeping ticks from biting and feeding on your dogs means looking at your pets for anything unusual in their fur and feeling for foreign bumps on their skin. Cleaning up clutter in your yard and keeping pets’ bedding clean will also help keep ticks away. Learn more here about how to get rid of ticks and the importance of keeping them away from your family and pets. Arizona is home to many more pests, including snakes, bats, gophers, rabbits, mites, and ticks. Is what you’re looking for not featured on our site? Don’t worry, we carry hundreds of products and can give you the help you need to keep your household and landscape free of these annoying creatures – simply visit a store near you.